Be it the reduction in costs, increased productivity or boosting employee engagement, working remotely has tremendous benefits like the ones mentioned here explain why companies are relying more on remote workers. Advancements in technology and innovative business mindsets are now making it possible for people to work remotely and deliver the same results. This explains why many large and innovative organizations like BaseCamp, Automattic, Mozilla, Toptal, Upworthy, and Buffer are now favoring remote work policies for their employees. The fact that working remotely can offer a myriad of benefits to both the company and the employee is the major reason for this dramatic shift. Be it the reduction in costs, increased productivity or boosting employee engagement, working remotely has tremendous benefits like the ones mentioned here explain why companies are relying more on remote workers. 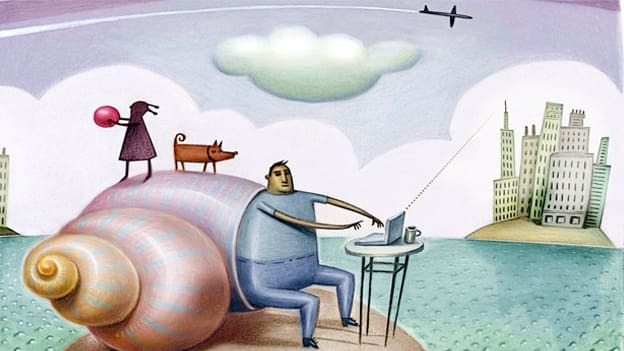 Having a remote workforce helps companies to cut down their costs on infrastructure, in-house resources like workstations, computers, electricity, miscellaneous costs like stationery and perishables, equipment and other tools required by employees to perform their jobs. The cost of payroll tax and benefits is also minimized as most of the remote workers are generally contractors. Besides, you can also cancel the travel allowance or eliminate the provision of company cab as your team is ready to work from any place. Granting the freedom to work from anywhere has an immense impact on the company’s operational bottom line. When you allow remote work option, you create a culture that focuses more on objectives like expanding the business, instead of caring about trivial matters like office politics, dress codes, parking spaces or time spent on the chair. When the primary objective of an employee is to deliver work in the stipulated timeline, it’s up to him to manage his timeliness and productivity. This also allows people to better allocate time to their personal well-being which contributes to their job satisfaction and loyalty. A study from TINYpulse revelated that remote workers displayed a greater sense of happiness, thanks to the freedom and flexibility offered by the remote work option. It also demonstrated that remote workers feel more valued while a whopping 91 percent found their productivity increased. The merits of avoiding bland cubicles, stifling commutes and unproductive meetings is acknowledged by remote workers. The option to make the decision between working remotely or commuting to the workplace empowered people to achieve work-life integration which contributed to their enhanced performance. With the flexibility of a broader global talent pool, companies have no qualms in hiring talent that doesn’t fit their location criteria. This gives them more options and opportunities to pick the best candidate and leverage the skills in the global market during the recruitment process. If they demand a highly-specialized professional, they can get the very best onboard without worrying about their location preferences, thus adding tremendous value to the company’s workforce. Additionally, offering remote work options that allow employees to fulfill their family and personal obligations also boosts your retention efforts. Giving employees the remote work option has tremendous benefits for the environment. Imagine the number of vehicles that would be kept off the highways, the reduction in emission and dependency on fuel, which could positively impact the world we live in. Besides, your workforce and your customers may be impressed by your go-green initiative which could have a net-positive impact on your bottom line. For many organizations, the remote working strategy is a part of their long-term plan to build a superior performance culture that doesn’t depend on physical presence. With the expansion of technology and collaboration tools, more and more companies will leverage technology and adaptive processes to create a class of remote workers and build their processes around such workforce. NEXT STORY: Why do we keep hearing about the deteriorating quality of leadership?